How’s your Monday going so far? < Previous Have a Great Weekend! That sounds like it would be so much fun. I’m so happy that the cherry blossoms are out. Hopefully the warm weather will soon follow. The festival sounds amazing. I love Cherry Blossom. oh I bet the cherry blossoms were gorgeous! And yes I wish in a serene and beautiful place like this picture! Love that picture!! And I said the same thing about the white cherry blossoms – I wonder what happens to the pink flowers — do they alternate??? 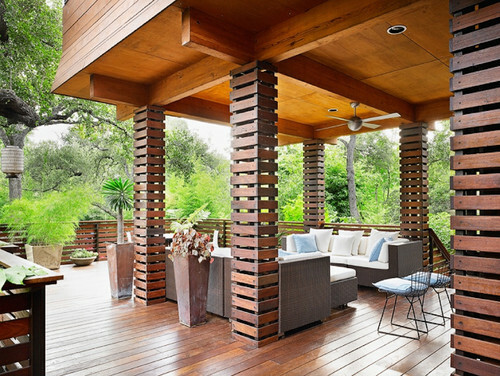 This is the perfect outdoor space! How amazing would it be in the summer? It sounds like you had a great weekend, Annie! I’d love to be sitting out there with a magazine and a margarita right about now.